We are instrumental in bringing forth quality range of products that are sternly designed and manufactured using raw inputs that go through various quality checks. We ensure that the inputs are checked beforehand to evade loss. 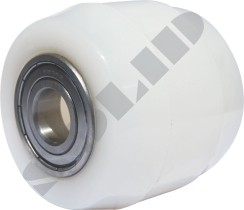 Being a Supplier of Nylon Wheels (Series 404), we strive to deliver high quality and cost effective products in the market. Product made out of poly Propylene Co-Polymer by using injection Moulding technique under controlled pressure and temperature. Light in Weight But fair Load Carrying Capacity. No effects of acids or alkaline chemicals.